"The better part of one's life consists of his friendships." ~ Abraham Lincoln. 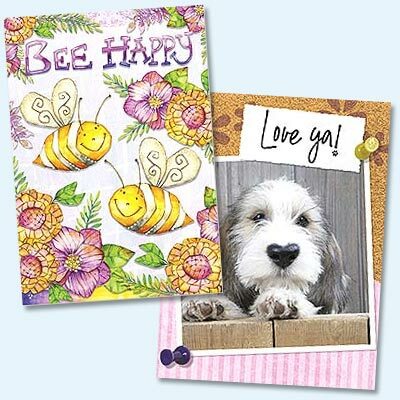 Friendship greeting cards are a simple way to say, "I'm thinking of you" or "I appreciate our Friendship," and make someone feel especially appreciated. Celebrate the special bond you share with a funny and lighthearted or sincere and thoughtful cards for friends from Leanin' Tree! Looking for the right words to add to your Friendship Card? Browse our favorite friendship messages, sayings, & quotes! Paper Cards you create online. Add a name, photo or both. We can mail for you or ship to you!